Who invented YouTube? YouTube was invented by Chad Hurley, Steve Chen and Jawed Karim when they worked together at PayPal. When was YouTube invented? YouTube, the world famous video-sharing website, was invented in 2005, during the Technology and Information period of invention. The invention of YouTube originated in the United States when the domain name "YouTube.com" was activated on February 14, 2005. YouTube has changed the way we communicate with each other from entertainment to education and has brought together people from all over the world. Definition of YouTube: YouTube is defined as a free video sharing social networking website on the World Wide Web (WWW) that allows registered users to upload, share and view videos for private or public viewing. Fact 1: Who invented YouTube? YouTube was invented by Chad Hurley, Steve Chen and Jawed Karim in 2005 during the Technology and Information era of inventions and was a major advancement in the area of Communications and Information and Social Media. Fact 2: Who invented YouTube? Prior to the invention of YouTube in 2005, the conventional ways of obtaining information was by reading books, watching documentaries or researching online articles and images. The information was provided by scholarly types, not generally by ordinary people. YouTube offered a way for everyone to communicate across the world, using informal videos to provide information. Fact 3: Who invented YouTube? YouTube offered a way for everyone to communicate across the world, using informal videos to provide information. Fact 4: Who invented YouTube? 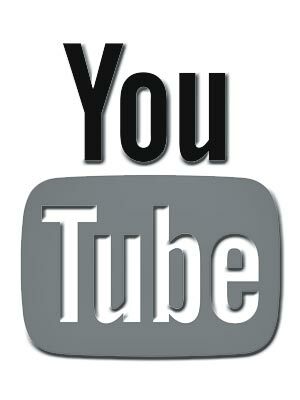 The YouTube website was made possible by the significant inventions of the Technology, Communications and Information Age. Tim Berners-Lee added to the Internet by inventing the World Wide Web, Steve Jobs and Steve Wozniak then invented personal computers, home video production was made easy when miniaturized and digitized camcorders were invented and the advent of Smartphones provided instant access to record videos and download to computers. Fact 5: Who invented YouTube? The invention of YouTube was perhaps the next obvious direction that the World Wide Web would take, especially after the launch of Mark Zuckerberg's Facebook in 2004 but it was Chad Hurley, Steve Chen and Jawed Karim that came up with the idea. Fact 6: Who invented YouTube? Chad Hurley worked in eBay's PayPal division, Steve Chen had once worked at Facebook and then moved to PayPal and Jawed Karim worked at Silicon Graphics Inc before he also moved to PayPal. The three guys would all became multi-millionaires when they sold their invention to the search engine Google for 1.65 billion dollars . Fact 7: Who invented YouTube? Steve Chen: Steve Chen was born on August 18, 1978 in Taipei, Taiwan and immigrated to the United States when he was 15 years old. Steve Chen was educated at the University of Illinois where he studied computer science. Fact 8: Who invented YouTube? Chad Hurley: Chad Hurley was born on January 24, 1977 in Reading, Pennsylvania. Chad Hurley was educated at the University of Illinois where he received a Bachelors degree in Fine Art. Fact 9: Who invented YouTube? Jawed Karim: Jawed Karim was born on 28 October 1979 in Merseburg, East Germany and immigrated to the United States in 1992. Jawed Karim was educated at the University of Illinois in computer science and went on to take an advanced degree at Stanford University. Fact 10: Who invented YouTube? The three guys became friends whilst working at PayPal, although Chen and Karim had first met studying computer science in college. Fact 11: Who invented YouTube? Video-based online dating services were taking off but other videos tended on the whole to be educational. Fact 12: Who invented YouTube? According to Jawed Karim the inspiration for the invention of YouTube followed the 2004 Super Bowl and Janet Jackson’s "wardrobe malfunction" at the half time show. Janet Jackson’s faux pas was the news of the day and the three friends searched in vain for video clip online. Fact 13: Who invented YouTube? Their failure to find a video of the infamous event led to the invention of YouTube. The guys checked out whether they could find find video clips of other major new stories that followed, such as the 2004 Boxing Day tsunami. None were easily available, the guys had found a huge gap in the market for uploading and swapping videos. Fact 14: Who invented YouTube? New websites like Flickr, launched in 2004, with real-time photo exchange capabilities were proving to be extremely popular and Chad Hurley, Steve Chen and Jawed Karim decided to create a website on which people could upload and share video clips. Fact 15: Who invented YouTube? They called the website YouTube which was activated on February 14, 2005 and co-founded the YouTube company. The name YouTube was chosen because the 'You' reflects the personalized aspect of the website and 'Tube' is an old throwback term used when television had picture tubes. Fact 16: Who invented YouTube? Jawed Karim uploaded the first video on YouTube 8:27:12 p.m. UTC on April 23, 2005. It was a 19 second recording of himself filmed by Yakov Lapitsky at the San Diego zoo which he titled "Me at the zoo". (As of March 2017, the "Me at the zoo" video has received nearly 37 million views). Fact 17: Who invented YouTube? The invention of You Tube was a massive success and its potential was recognized by Google which it bought the site for $1.65 billion in 2006 and by 2007 it had been launched in nine countries. Fact 18: Who invented YouTube? The popularity of the Apple iPhone, invented by Steve Jobs in 2007, added to the huge success of the website. By 2009 the site attracted one billion daily views. Fact 19: Who invented YouTube? Today over 5 billion videos are watched on Youtube every single day and 3.25 billion hours of video watched each month. Fact 22: Who invented YouTube? The website has been praised and received backlash in just about equal measure but shows no signs of slowing down. Not all countries embraced the use of social media and sites such as Facebook, Twitter and YouTube were banned in countries such as China, Iran and North Korea. Fact 21: Who invented YouTube? The website has become the world’s third most-visited website after Google and Facebook. Who invented YouTube? Now you know that Chad Hurley, Steve Chen and Jawed Karim were the names of the people who invented YouTube! We hope that the facts in this article have provided the answers to all of your questions.